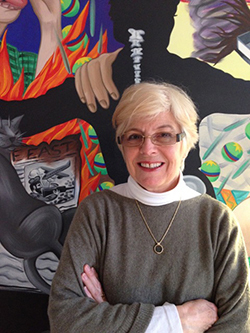 Gail Nathan is an interdisciplinary artist, arts educator, and arts administrator, with a commitment to arts-based community development. Throughout her career, she has advocated for cultural, environmental, and educational justice, supporting the position that the arts can be an equalizing factor in the revitalization of under-served communities. Nathan was born and raised in the Bronx and attended Fiorello H. LaGuardia High School of Music & Art. She received a BFA from the New York State College of Ceramics at Alfred University and an MFA from the Mason Gross School of the Arts at Rutgers University. Her work is in the collections of the New Orleans Museum of Art and the Virginia Museum of Fine Art, as well as major public and private collections throughout the US. 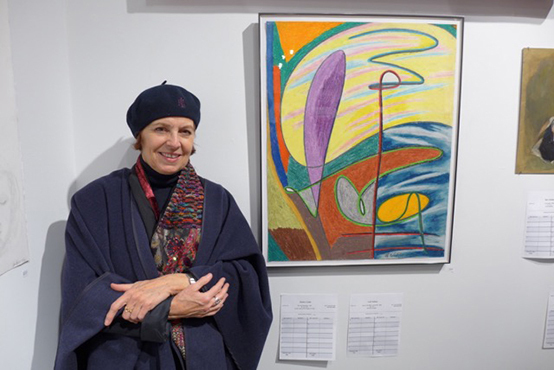 She is the recipient of many awards and artist residencies, including an Adolph and Ester Gottlieb Foundation 20-year career grant and a residency at the Karoli Foundation for Artists and Writers in Vence, France. Nathan has been a visiting professor at art schools and universities throughout the US and Europe, including: The School of the Arts at Virginia Commonwealth University; Maryland Institute College of Art; Kansas City Art Institute; The University for the Arts at Philadelphia College of Art and Design; the Visual Arts Program at Princeton University; and the Academy of Fine Arts in Bratislava, Slovakia. NYC schools include: New York University; Parsons School of Design; Montclair State University; Ramapo College; and Douglass College of Rutgers University. Nathan has been executive Director of the Bronx River Arts Center since 1999 and has overseen the design and construction of BRAC's $11,000,000 renovation. 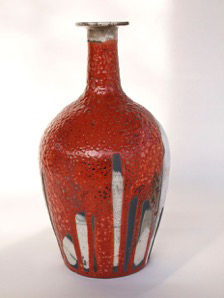 Raku Vessel, 11" X 7"